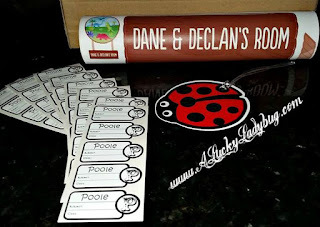 I first heard of Bright Star Kids Labels from another parent when I started doing research online for back to school labels for Declan this year as he starts for the first time. Being that most school teachers ask you to label the kids personal items anyway, I just figured it would be better for the kids. My mother (as well as most parents in the past) used permanent marker on our things but to be honest, that idea has never appealed to me. So when Bright Star Kids Labels asked me to review a few of their products, I knew I would be interested. Little did I know all the products they had. There weren't just products for kids school supplies but for so much more! I right away noticed the wall decals and bag tags. 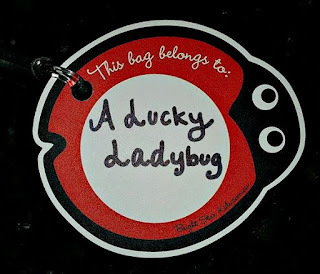 I had to grab a Ladybug Bag Tag for myself (just a little gift for myself). The bag tags work perfect for kids backpacks, lunch boxes, and even luggage for family trips. While I had every intention of picking a sticker/label for the kids next, the boys had something else in mind when I let them look at the Bright Star website. 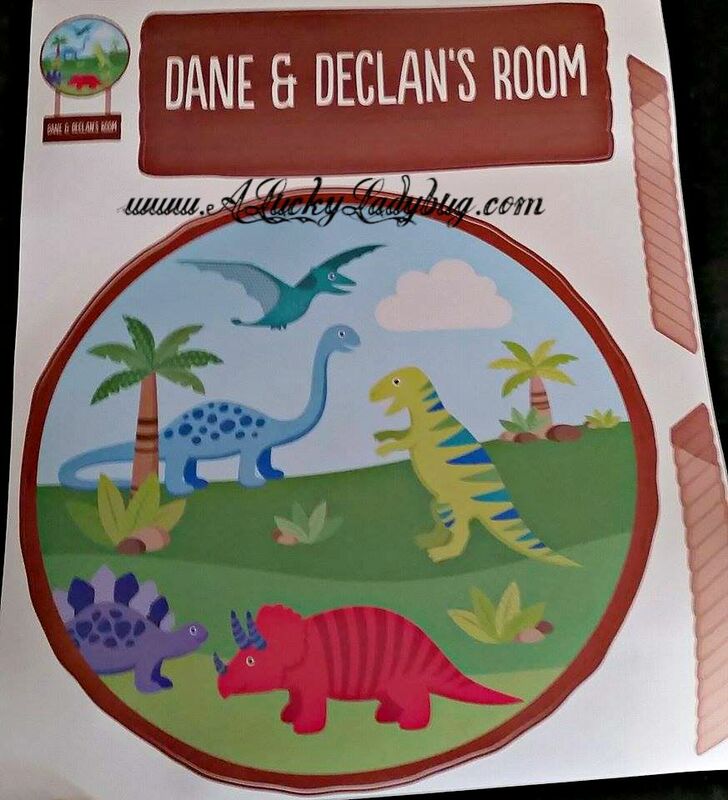 They quickly decided they wanted the Dinosaur Name Stickers to put on their bedroom door. 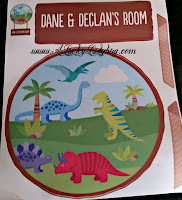 Since we have a dino/wilderness theme in their room, they thought this was a perfect way to personalize it with both of their names! I love the fact that it is reusable and removable without causing any damage to the door or wall as we've already moved it twice since it first arrived. Next, of course I had to pick the Subject (Book) Labels since that was my original purpose in shopping at Bright Star Kids! I loved that I was able to create one design that worked for all three of the children ranging from Kindergarten to High School. 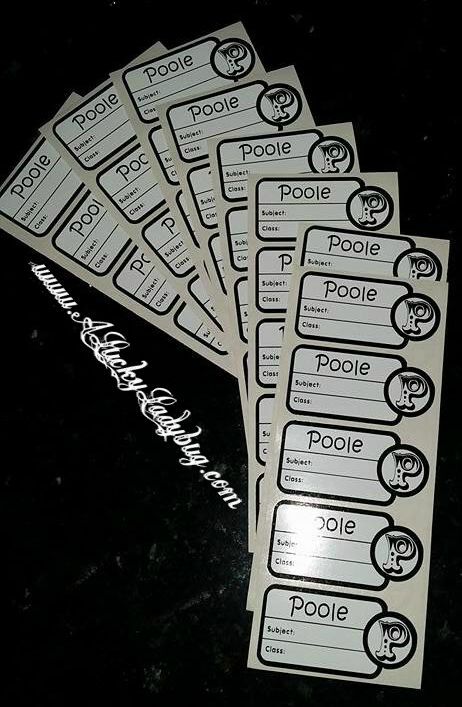 Each sticker has our last name with a 'P' as the image and a spot to fill out their classroom or subject info. This way, when one of the boys lose a notebook or folder, it can easily be returned to their teacher. My daughter in H.S. can keep track of each of her class notebooks separate without having to draw all over the cover. Recommendation: I would recommend these to most anyone with a child of any age in school and again for yourself depending on what area you decide to shop in. I thought the prices were very reasonable and tons of products were on sale each time I shopped the website. These were super easy to personalize and shipped immediately! Giveaway: Bright Star Kids is going to give one of A Lucky Ladybug's lucky readers a $50 Gift Card to get something of their own! I like the labels with the unicorn on them! I like the chalkboard round labels. They would work great in my grandson's room. I like the funky feet shoe labels. I like the Skip hop backpack. Thank you for the chance. I could use the Regular Clothing Labels. Now that my daughter’s in school, we go through lots of labels! I would get their school labels value kit. I like that the labels are safe for the clothes drier! 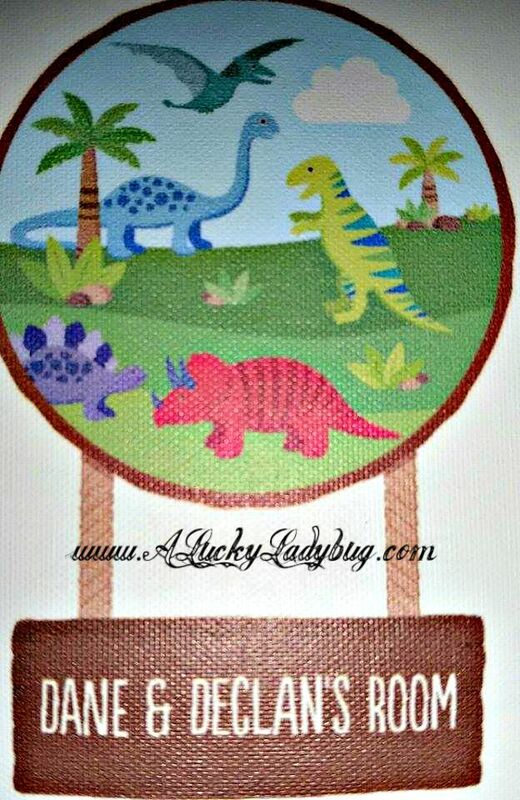 The Preschool and Daycare kit would be perfect for my son who's starting school soon! I'd probably purchase the small name labels in baby blue! I might get some wall decals for my grandchild. I like the Mega Name Labels Value Kit, it will be really helpful. I really like the chalkboard round labels!! 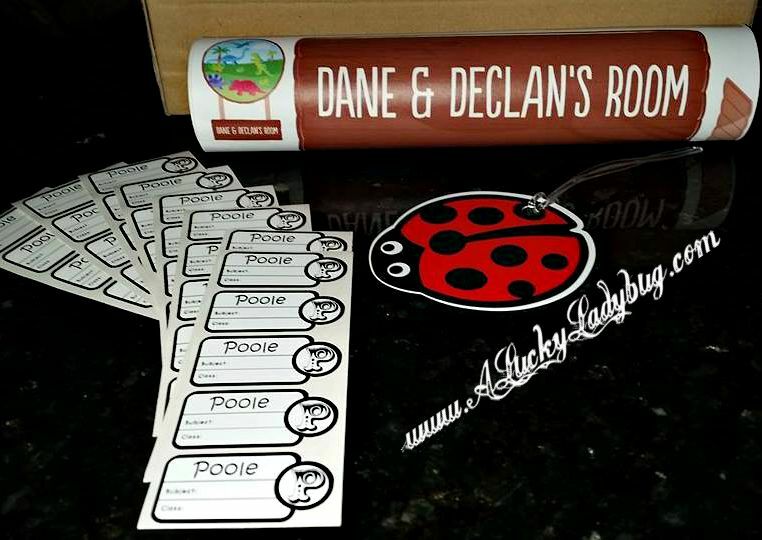 Starter Labels Value Kit for both of my grandkids. I know they could use them.